Restaurateurs Prodyut and Sumana Mukherjee have not only brought Indian flavours to the ongoing World Cup here but also plan to dish out free dinner to countrymen if Argentina wins the trophy on July 15. Based in Moscow for the last 27 years, Prodyut and Sumana run two Indian eateries, "Talk Of The Town" and "Fusion Plaza". 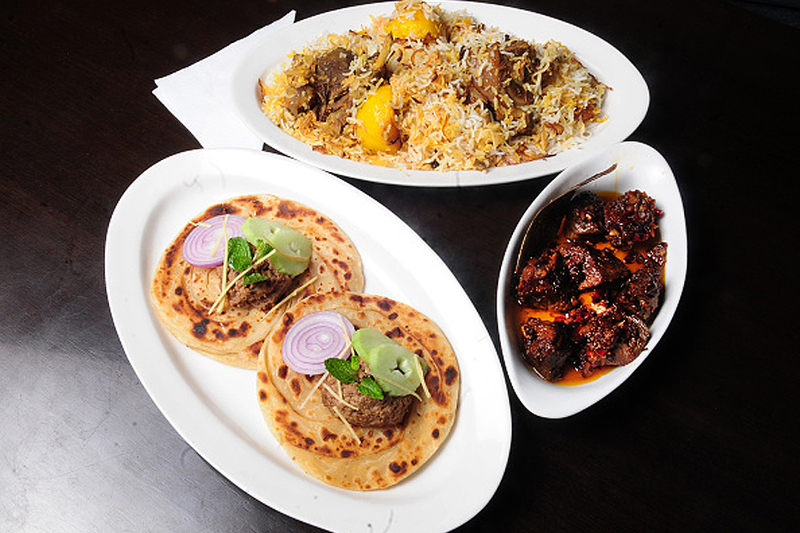 Both restaurants serve popular Indian dishes like butter chicken, kebabs and a varied vegetarian spread. During the World Cup, there will be 25 per cent discount for those who will possess a Fan ID (required to watch World Cup games). There will also be gifts and contests on offers during matches in both the restaurants to celebrate the event. The Mukherjees, hailing from Kolkata, are diehard fans of Argentina. Despite Albiceleste drawing 1-1 with Iceland in their group opener with Lionel Messi failing to sparkle, they believe Jorge Sampaoli's team can go the distance. "I am an Argentina fan. I have booked tickets for a quarterfinal match, a semifinal and of course the final. If Argentina goes on to lift the trophy, I will invite all Indians who have come here to watch the World Cup for free dinner at both my restaurants," Prodyut told IANS. "We have been waiting for this World Cup. Indians come in large numbers during the World Cup and we wanted these eateries to be a melting point," he added. According to Cutting Edge Events, FIFA's official sales agency in India for the 2018 World Cup, India is amongst the top 10 countries in terms of number of match tickets bought. Prodyut came to Moscow to study engineering and later started working for a pharmaceutical company here before trying his hand in business. Besides running the two restaurants with the help of his wife, he was into the distribution of pharmaceutical products. "After Russia won the first match of the World Cup, the footfall has gone up considerably. The Indians are also flooding in after the 6-9 p.m. game. That is the time both my restaurants remain full," Prodyut said. There are also plans to rope in registered fan clubs of Latin American countries, who will throng the restaurants during matches and then follow it up with after-game parties till the wee hours. "I did get in touch with some of the fan clubs I had prior idea about. They agreed to come over and celebrate the games at our joints. Those will be gala nights when both eateries will remain open all night for them to enjoy," Prodyut said. Watching the World Cup is a dream come true for the couple, Sumana said. "We want to make the Indians who have come here to witness the spectacle and feel at home too. We always extend a helping hand and since we are Bengalees, we make special dishes for those who come from Bengal," she added.